Since the closure of Santi, I have been lamenting the lack of awesome fine Spanish dining in Singapore. That was before Catalunya came into the picture 2 months back. Boasting a team trained at the famed El Bulli, Santi, Drolma and Sketch, Catalunya sounds like she has the perfect ingredients to succeed in this niche. However, they have chosen to go the classic Catalan comfort food direction, which is quite the opposite of El Bulli. Catalunya sits at the Fullerton Pavilion, a 120 seat 4300 sqft floating structure beside One Fullerton. The futuristic glass dome would have been a perfect fit for molecular gastronomy cuisine but Executive chef Alain Devahive Tolosa doesn't want it to have any bearings of El Bulli. Instead, he introduced traditional Catalan dishes from his grandmother's time with a modern up class twist. I just feel that there's a slight mismatch between the locale and the food. I would much prefer the classic Spanish tapas bars. I'm not complaining or nit picking, i'm just wondering out loud. The view was nonetheless stunning. The floor to ceiling glass panels offer an unobstructed view of the majestic Marina Bay Sands. This is waterfront dining at its best in Singapore, albeit its artificiality. It's very peaceful sitting there watching the waves and the Audi yachts sloshing around in the bay. Catch the sunset over drinks and then enjoy a romantic dinner under the stars. S and i went in broad daylight just so we could get better pictures for you guys but we'll definitely be back for date night. We started off with cocktails and it is only right to have a Sangria (i'm traditional that way). The Catalunya Sangria (S$19), made from a Protocolo Red wine base with Martini Rosso, Bacardi Superior, orange, lemonade and sugar, hits all the sweet notes. The sweetness is quite deceiving for it masks the potency of the drink, but i like it. ;) There is a good selection of wines, beers and 20 other cocktails so you could drink like a Spaniard, any time of day. Since tapas are the highlights, we went ahead with 4 of that and then a main dish for sharing. Many Singaporeans would shy away from the Pa Am Tomaquet (S$8) simply because it's pricey for the simple ingredients. What's special about toast with olive oil and tomatoes you say? Well, good food doesn't have to be complicated. I love the lightly salted crusty bread which has the texture of a cracker puff. The tomatoes are juicy sweet and lightly seasoned with some sea salt, garlic and olive oil. Refreshing way to start our meal. If this is too simple for you, try the Tomato Tartar Confit (S$18) which is more 'prepared'. 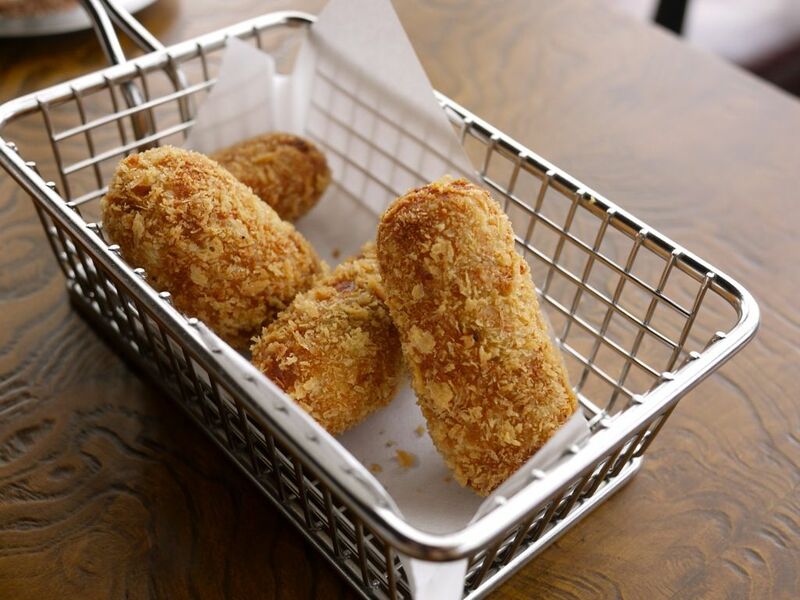 I love croquettes and this is what i'd order at any tapas place. The Jamon Iberico Croquette (4 for S$12) was a creamy bechamel filling of flour, milk, cheese and butter (all my fav ingredients) and also generous chunks of Jamon Iberico. Breaded and fried to a light crisp, it left me craving for more after the first bite. I was really tempted to get another serving of this. The Tortilla Omelette DeConstruccion (S$10) is the very same revolutionary chef Ferran Adria created at El Bulli back in 1999. This is the closest you will get to EB now that it has changed its culinary directions. Think of this as a blended Spanish omelette with layers of tastes. Do not drink it simply. 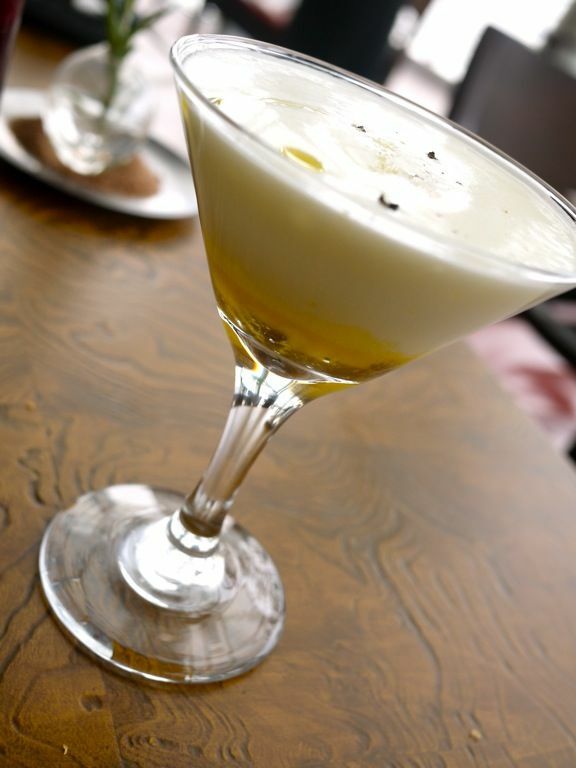 Use your spoon instead, cut right to the bottom of the glass to reach the sweet caramelized onion puree and make sure you scoop some of the egg yolk sabayon and the light potato foam on top before sending it into your mouth. The dish isn't bad but it's too fancy for my liking. I very much prefer the traditional tapas style which is more substantial and hearty. The Traditional Suckling Pig "Segovian style" (2-3pax, S$125) is a hot favorite with diners. It's so well roasted that a plate is used to butcher the piglet before serving, typical Spanish style. The tapas version is as shown above (S$18) and is served with a refreshing lemon puree. The meat is so moist and the fats so well rendered i could not separate the 2. The guilt went out of the bay windows after i took the first bite though. Absolutely fantastic. The 2 favorite mains are the Suquet with Scorpion Fish (S$50) and the Lobster Rice (S$55). The Suquet brought back wonderful memories of the Catalan Fish Stew that i had at Santi but i gave it a miss in favor of the Lobster rice. Good for 2-3pax for sharing! 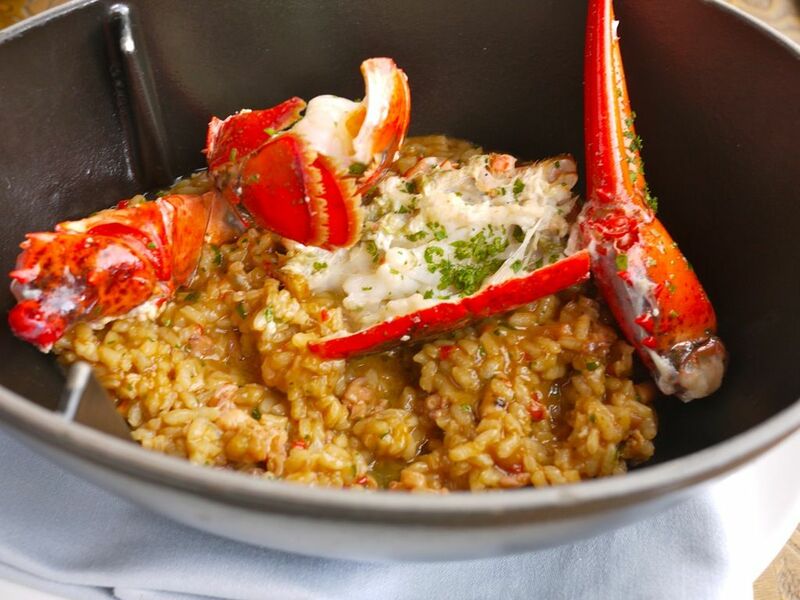 The short-grain rice with lobster was cooked in a rich fish stock that is like a lobster bisque. The flavor is rich and savory with chunks of squid, clams and juicy succulent lobster. Indeed, the lobster may be of a lower grade but it was still quite satisfying. Each pot comes with a little crawler for sharing. Thank god S stopped me from ordering another tapas dish, if not we wouldn't have been able to squeeze space for desserts. The Warm Creamy Almond Tart (S$12) was worth the 15-20min wait. Actually, this is more lava cake than tart. I love the light fragrant nuttiness of the almond and caramel filling. Too bad the moist cake gave way far too readily and spilled its golden sauce onto the plate before we dug in. I would prefer a simple vanilla ice cream rather than fruit sorbet to go with it though. We were thoroughly stuffed by the end of the meal.